We finally had a beautiful day here yesterday! It was sunny and pleasant. I think the rain is on it's way back, though. I'm so ready for warm weather. This has been such a cold and dreary spring. So, to brighten things up around here, I thought I'd share a couple of bright things that I've made recently. 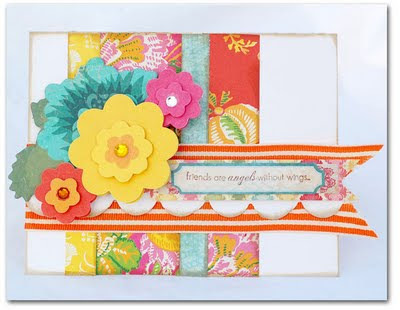 This card was made for the Emma's color challenge this month. I used soem Anna Griffin papers and flowers on here. The ribbon is May Arts. This next card uses Crate Paper. I made a tri-fold pocket to hold a gift card. The stamp is from Papertrey. That Mother's Day card is beautiful! Love the color mix and design. Have a good Monday. Exactly what I needed on this dreary morning. Stunning Anabelle! 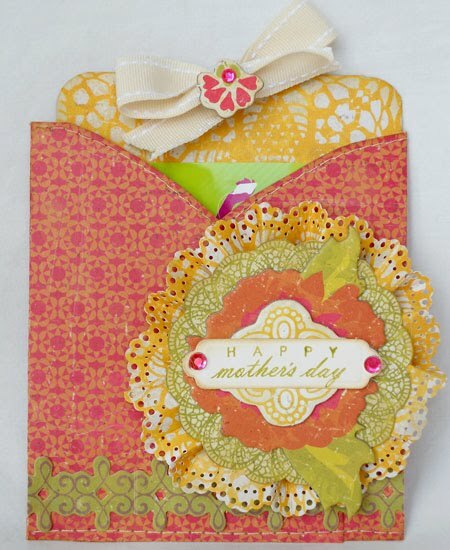 OOh, that bright card is just making me super happy...love all the cheery colours and the beautiful way you incorporated them in your card. The Crate Paper card is so pretty too! Such lovely cards! 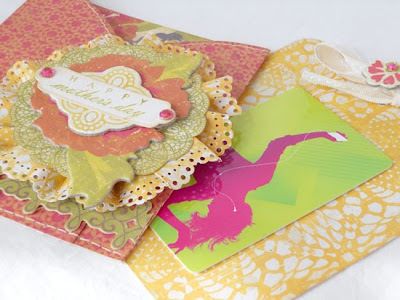 I LOVE the bright, citrus-y colors!! 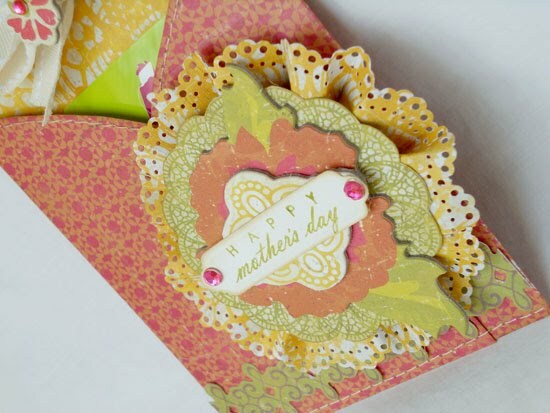 Adorable card holder, did you use a template for that?